I am delighted with the treatments I have had at Aurora skin clinic. All of the staff especially Dr Burns and Lubi have been so helpful, so welcoming, and are just lovely people. I look forward to my appointments to the clinic as everyone is so friendly and I always leave feeling so special, so refreshed and very happy. Stacey Donnelly:"Had the most amazing facial today, not only does my skin feel plumper it looks it. Can't believe the difference it made. Made feel very welcome & relaxed from i set foot through the door. Cannot wait until next one." Jason Thompson:"I had underarm injections to prevent sweating and it has made a huge difference to me. Great clinic and very friendly, professional staff." 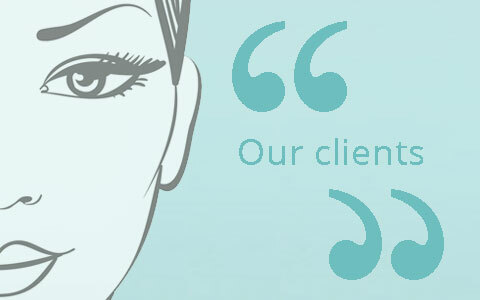 Jo Monroe:"Have had Dermapen treatments and highly recommend them .Really friendly staff and very relaxed atmosphere." Joanne Doyle:"Really welcoming and relaxed. Love the new clinic it's so much bigger and beautifully decorated."